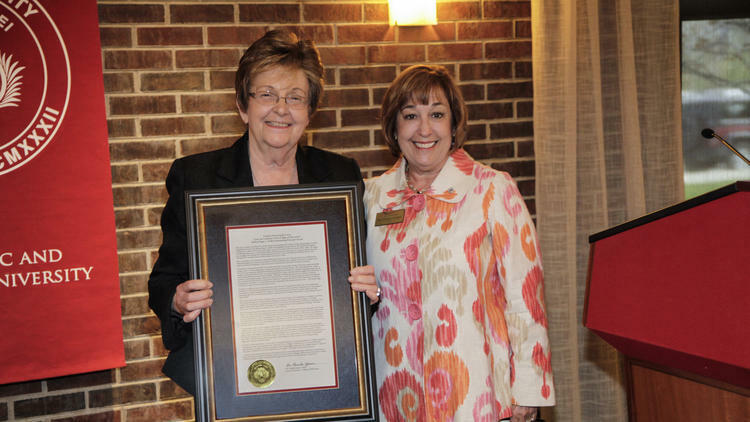 “For her outstanding dedication to the education profession, Catholic ideals and school leadership,” Lewis University and the College of Education presented the Bishop Roger L. Kaffer Outstanding Principal Award to Mrs. Rita Stasi during a ceremony at Lewis University. Mrs. Stasi was chosen from over 60 Catholic school principals in the Diocese of Joliet, demonstrating the many facets of her strong leadership and faith-based approach. Now Enrolling Preschool through 8th Grade Students for 2016-17!